Real name mandatory, otherwise you will get black flag in open practice before the race. Driver has to change nickname after 1st warning when admins notice he is not using real name, otherwise he will be excluded from SRCA league before the first race. Review the rules before joining the server for the race. 3951 - Timotej Andonovski doesn't slow down in an area where an accident occurs and hits the rear of Agnus Tong - This is clearly Timotej's fault but no further action necessary as this DNF has cost Timotej his license. 2470 - Devin Braune attempts to lap Valerio Nicolella at the beginning of the straight. Valerio almost causes contact by driving towards the left side of the straight. - Warning to Valerio, you always have to keep your line and be predictable at the corner exit. That means stay where you are and DO NOT move towards the inside! 3506 - Devin Braune attempts to lap Mario Peixoto at the beginning of a short straight. Mario almost causes contact by driving towards the left side of the track - Warning to Mario, you always have to keep your line and be predictable at the corner exit. That means stay where you are and DO NOT move towards the inside! You really want to practice the pit entry and not cross the pit entry line. Since last season you have not figured out how to use the proper name on the server. Next race you will use your proper name, capital letters at the beginning of first and last name and that's it. No underlines, no special characters. This track is a weird one for the anticut rules as many corners simply have no white lines. Are cuts exclusively handled by the game here? People can already be seen using the full track width in a few corners regardless of kerbs because the game allows it. Just asking to clarify if I can do that or what exactly counts as track here. Additionally, in many corners it actually costs a bit of time to leave the track at the outside. Do the slowdown rules still apply if that happens? Due to it being slower the game doesn't award a cut warning. We never penalise cuts during the race, it always does the game itself, so feel free to discover driving limits of this track, but as Flo has already mentioned, there will be no mercy for pitenter line cuts. 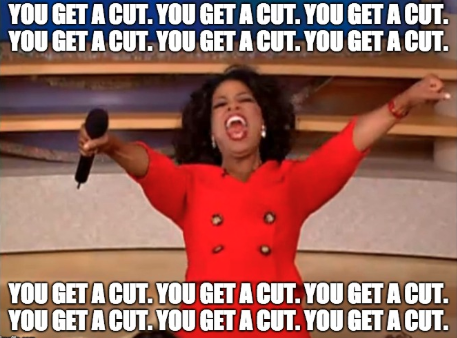 [...] there will be no mercy for pitenter line cuts. This is only valid for the blend line on-track, right? We are allowed to touch the grass on the left side, aren't we? Can we have a live broadcast with just the pit entry? Yes Michael, I have never penalised driving on the grass at NOLA pitenter area so far, but if it will cause an accident, it will be penalised even without IRR, because in replay I check pit enters for all 90 minutes. That's totally reasonable. Thanks for clarifying! I'll be absent at this race, signing out. Please give my seat to the next driver on the reserved list. Are we going with real weather for this race btw? Obviously there has been time when service was not calling and such, but the weather has always been turned on. Glad we are not racing in Portugal. Max temperature for the upcoming weekend is 34º Celsius. Now image how hot the asphalt gets on these days. I'll have two bottles of water next to me during the race, that's for sure. And a towel. And a fan. In livetiming we can see times from Indianapolis, can you do something with this?